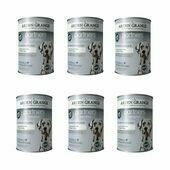 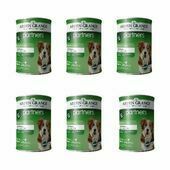 Suitable for dogs over 9 months old, this range of Arden Grange dog food is gentle on the stomach, making it ideal for dogs recovering from an illness or injury. 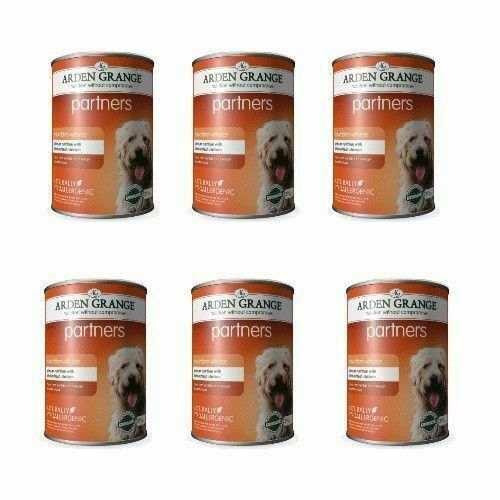 Because the Partners range contains a lower water content than most other wet dog foods, over 70% of it is chicken alone; with the rest being made up of rice, minerals, vegetables, fish oil, glucosamine, chondroitin, cranberries and extracts from yucca, seaweed and yeast. 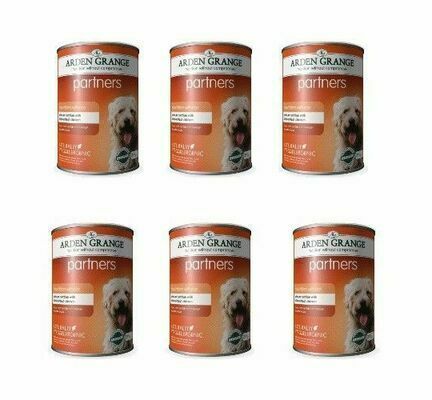 Ingredients: Fresh Chicken (70%), Rice (6%), Minerals, Peas, Carrots, Beet pulp, Fish oil, Seaweed extract, Glucosamine, Chondroitin, Cranberry, Yucca extract, Yeast Extract. 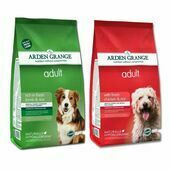 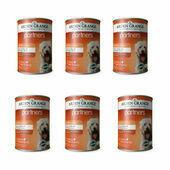 Our dogs always have Arden Grange food and treats. 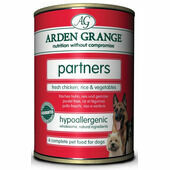 They are Westie's and have never had any skin or allergic reactions since using Arden Grange. 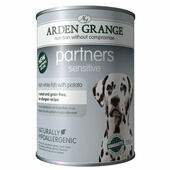 Always use Arden Grange for our two Westies. 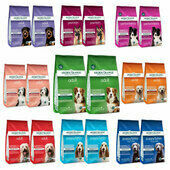 Tinned, Kibble and Treats. 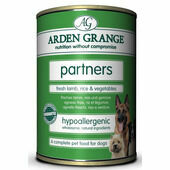 Previous food had given them allergy's but this food is perfect for them.